I admit that I don't show enough TLC to my hair and I do the minimum for it. However, I've found the basic but necessary products that I do love to use on my hair. 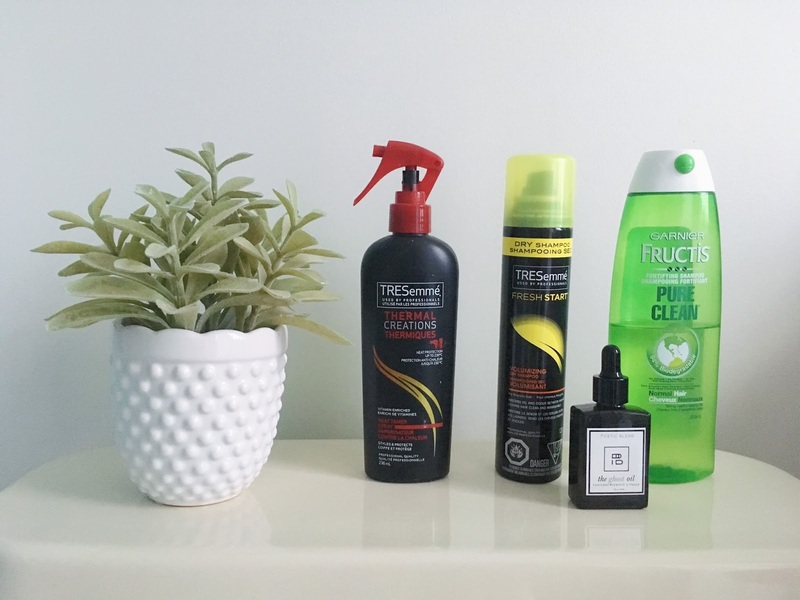 Garnier Pure Clean Fortifying Shampoo - My favourite clarifying shampoo to get all the gunk and oil out of my hair. Poetic Blend The Ghost Oil - My favourite oil to not only use on my face, but at the ends of my hair to add shine and nourishment. Check out the other amazing natural oil products by Poetic Blend here. Tresemme Fresh Start Volumizing Dry Shampoo - The clean scent combined with its function help absorb oil in my hair between washes. Tresemme Thermal Creations Heat Tamer Spray - A protective spray to keep my hair from getting too damaged from blow drying or heat styling. 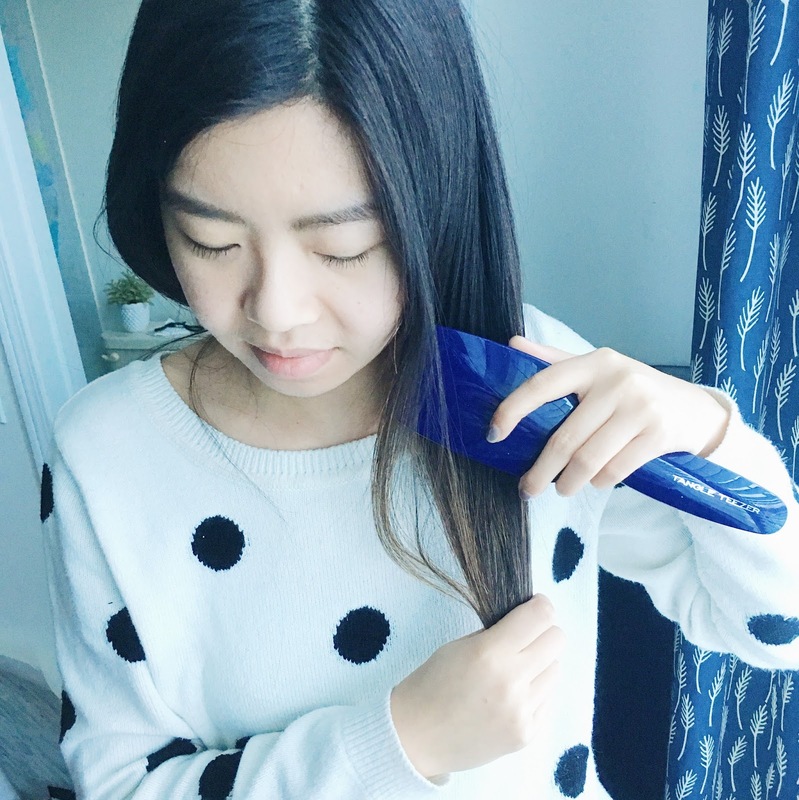 Tangle Teezer Blow-Styling Hairbrush* - A great brush to smooth, shine, and detangle! 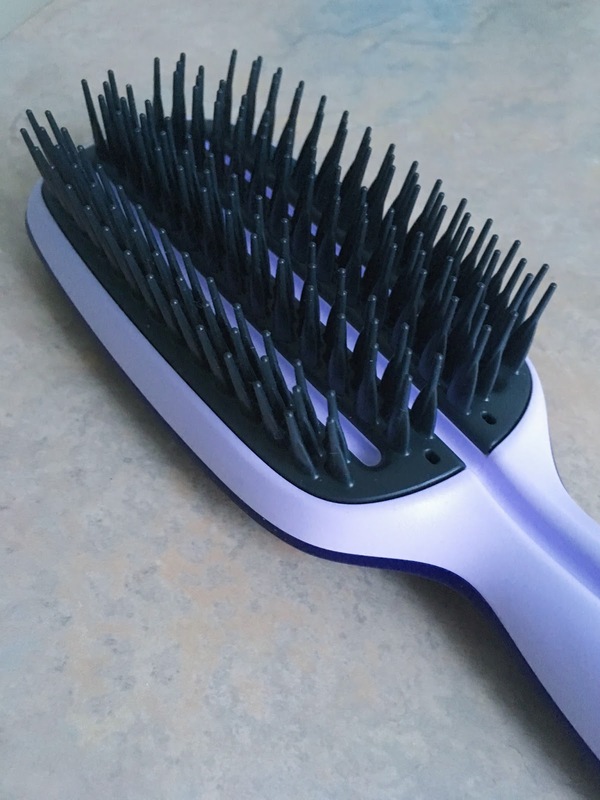 Although the bristles may be stiffer/harder than other hairbrushes, it does do the job well. 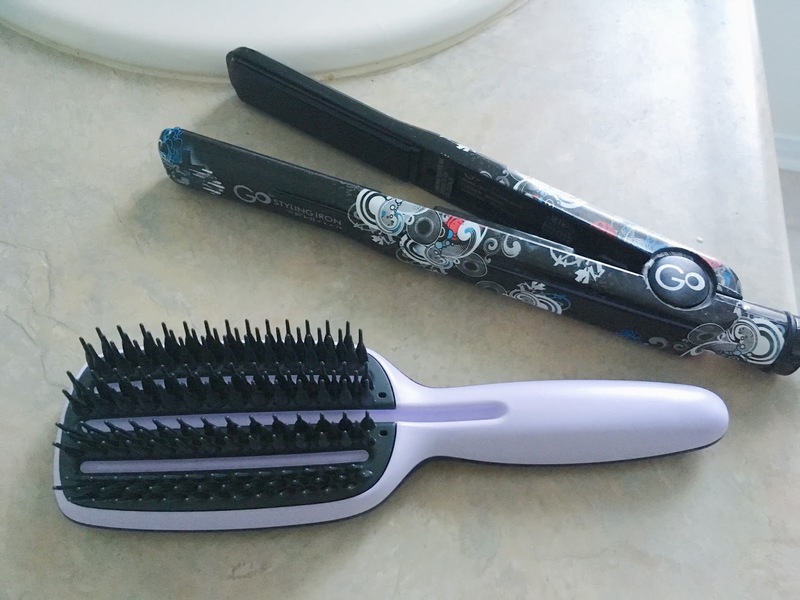 It also has a groove that runs through the center of the brush head to help you get hair out. I also have the Tangle Teezer Hello Kitty Edition Compact Styler* and it's so useful to use on the go when my hair is getting out of control! You can check out other Tangle Teezer products on their website here or at Sephora. Go Styling Iron by Fhi - It heats up fast and the temperature can be adjusted. I use it mainly for straightening but if you're pro enough then you can also use the same tool to make waves and curls. What do you use to take care of or style your hair? If you have any recommendations, pop them in the comments below! *The product was sent as a PR sample for editorial consideration. All thoughts are my own and genuine. Follow me on Instagram here, Twitter here, Facebook here, and Bloglovin' here!